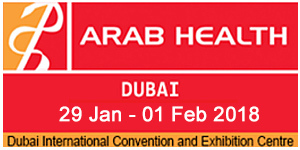 We are participating in Arab Health exhibition in Dubai, UAE from Jan. 29 (Mon.) to Feb. 1 (Thu.) 2018.